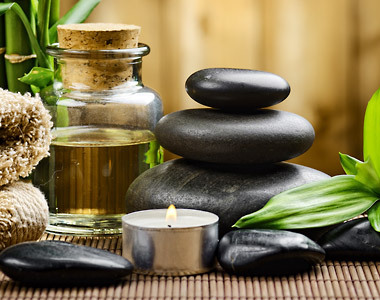 Come relax in our facial room for an hour while we pamper your face with G.M. Collin’s face cream, acne treatment (if needed), and moisturizer. This essential treatment for your skin includes cleansing, steaming, extracting, restoring mask and rejuvenating massage. Everyone wants healthier, brighter skin and the European Facial helps achieve that goal. Our microdermabrasion facial removes dead, flaky skin and stimulates the growth of new, healthy skin cells and collagen. This facial also combats signs of aging skin, including fine lines, dark and pigmented spots, and acne scars, Leave looking as beautiful on the outside as you are on the inside. Improve the health of your skin with this 3 in 1 facial that exfoliates the skin, revealing new healthy skin underneath, infuses nutrients into your skin for a healthy looking glow, and oxygenates your skin to absorb the nutrients. Relax in our facial room for an hour while we reveal your inner beauty that was always there. The treatment re-hydrates your skin and you should notice a tightening of the pores, smaller wrinkles, and a lightening of sunspots and pigmentation. A 5-step treatment, with a unique Oxygen Complex and Patent Anti-Microbial Peptides combined with Salicylic, Glycolic and Lactic Acids, purifies and deeply hydrates to restore the skin’s natural radiance and glow. This revolutionary treatment is designed to clear skin, revitalized fatigue, stressed and dull skin. Specifically recommended for oily to acne-prone skin. If you are unsure if this facial is for you come on in and talk to one of our estheticians and she will help you determine the best treatment for your skin type. Also known as a Chemical Peel, this is a mild 35% glycolic peel that will remove dead skin cells, treat acne problems and give your complexion a fresh clean look. Are you tired of tired looking eyes? This quick treatment will reverse the inflammation, puffiness and dark circles around your eyes using soothing eye patches infused with collagen extract to reduce inflammation, puffiness, and dark circles. This treatment can also be added to any facial. This latest laser technology can improve the look of acne, wrinkles and spider veins, treat sun damaged skin, and remove unwanted hair. Reduce visible signs of aging with an innovated, non-invasive anti-aging treatment boosted with retonal, alpha-lipoic acid peptides including Matrixyl and Argirline. This is a clinically proven treatment that visibly reduces expression lines, fine lines and wrinkles that results in an instant and long term youthful look. The algomask is ideal for for sensitive and reactive prone skin. This enriching seaweed treatment infuses the skin with immediate and long-lasting hydration while the thremo-cooling effect on the skin minimizes the appearance of redness. The Sea C Spa facial is based on an emerging treatment that helps improve the skin’s elasticity and suppleness using a unique concept of combining marine and vegetal ingredients (Pure Vitamin C concentrate, algae biomatrix patches and thermal organic mud). It is a powerful age-defying treatment designed to reverse the visible signs of aging, providing long lasting visible results on fine lines and wrinkles of a youthful skin appearance. This unique clinical treatment is specifically formulated to visibly firm the face and neck. The intensive hydration causes the skin to be more radiant and revitalized. Hydrolifting also improves the skin’s elasticity and the appearance of fine lines and wrinkles. The exclusive, highly renowned, intensively-rejuvenating treatment dramatically minimizes visible lines and wrinkles. Collagen rejuvenates and tightens the skin resulting in the resurgence of a more youthful, flawless appearance ideal for fatigued and mature skin. Quench your skin with moisture-replenishing ingredients for a plumper, firmer, more radiant complexion.